Walt Whitman, one of America’s most celebrated writers, was born into a working-class Long Island family on May 31, 1819. Four years later, the family moved to Brooklyn. Whitman cherished his memory of Revolutionary War hero General Lafayette visiting New York in August 1824. According to Whitman, Lafayette picked him out of the crowd, lifted him up, and carried him. After Whitman’s formal education ended when he was 11, he worked at a Brooklyn law firm and later at various newspapers. These positions afforded Whitman the opportunity for self-education and encouraged his interest in politics. Whitman openly supported the Free-Soil Party, formed in 1848 to oppose the extension of slavery into the Western territories. This would eventually cost him his job at the Brooklyn Daily Eagle, as his convictions clashed with those of Issac Van Anden, the newspaper’s publisher. 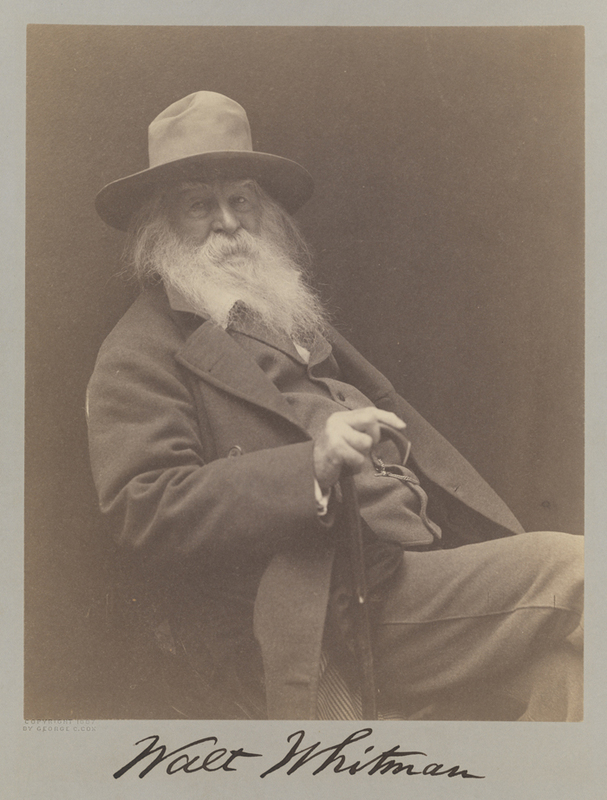 In 1855, Whitman published the first edition of Leaves of Grass, paying for the publication out of his own pocket, designing the cover, and even setting some of the type himself in his friend’s print shop on Cranberry and Fulton Streets in Brooklyn. Many biographers and critics cite July 4, 1855 as the publication date, but The Walt Whitman Archive notes that advertisements for Leaves of Grass began appearing in the Brooklyn Daily Eagle in late June. Complementing his passion for ferries, Whitman had an affection for transportation workers. He visited those who were injured on the job at New York Hospital on Broadway between Worth and Duane Streets. After the outbreak of the Civil War, Whitman also visited wounded soldiers at the hospital and wrote about them in a series of articles called “City Photographs”, published in the New York Leader in 1862. (O superb! O Manhattan, my own, my peerless! O strongest you in the hour of danger, in crisis! O truer than steel!!) How you sprang – how you threw off the costumes of peace with indifferent hand, How your soft opera-music changed, and the drum and fife were heard in their stead, How you led to the war, (that shall serve for our prelude, songs of soldiers,) How Manhattan drum-taps led. Whitman held an ardent admiration for Abraham Lincoln. He even said that “After my dear, dear mother, I guess Lincoln gets almost nearer me than anybody else.” When news of Lincoln’s assassination reached Whitman, he began working on an elegy, “When Lilacs Last in the Dooryard Bloom’d”, published in Sequel to Drum-Taps in the fall of 1865. Beginning in 1879 and continuing until 1890, Whitman offered lectures commemorating Lincoln’s assassination. In spite of his failing health he traveled from his home in New Jersey to Massachusetts, New York, Maryland, and Pennsylvania to deliver the “Death of Lincoln” lecture. On April 14, 1887, Whitman spoke at Madison Square Theatre. 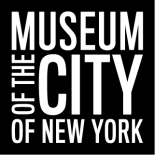 Among those in attendance, noted by the New York Times in an article published the following day, were Andrew Carnegie, Augustus St. Gaudens, Frances Hodgson Burnett, James Russell Lowell, and John Burroughs. Afterward, Whitman held a reception for his friends at the Westminster Hotel. The evening netted $600 for Whitman, roughly the equivalent of $14,000 today. It was also his last visit to the city. Walt Whitman died on March 26, 1892 at the age of 72 in his house on 328 Mickle Street in Camden, New Jersey. This entry was posted on July 3, 2012 by Lauren Robinson in Digital Project, Photo Archive, Photography Collection, Postcard Collection, Print Collection and tagged Abraham Lincoln, Brooklyn, Civil War, Free Soil Party, Fulton Ferry, Leaves of Grass, Manhattan, New York Hospital, Walt Whitman, Westminster Hotel.